This free fitness session takes place on Wednesdays, 6-7pm in the Vault Fitness Studio at the Birmingham LGBT Centre, B1 1EQ. The studio is a private space in the basement of the centre with a gender-neutral changing space. The class is exclusively for people who identify as trans, non-binary or gender non-conforming. It’s suitable for all abilities and levels of fitness: the small group allows it to be completely tailored to your needs and goals. All equipment is provided, but it’s a good idea to bring a drink. See below for an interview with the instructor, Vixx. Meet Vixx (pictured) who has worked in the Health and Fitness industry for 15 years and has a wide range of knowledge that covers all areas of health and wellbeing. 1. Tell me a bit about you – for example how long have you been teaching, what classes do you like to teach? 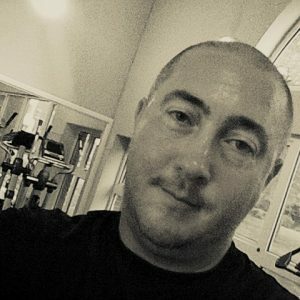 I have been working in the health and fitness industry since 2003. I have a degree in Sport & Exercise Sciences, a Diploma in Personal Training and Sports Massage Therapy, as well as a Diploma in Nutritional Therapy and a Certification in Neuro Linguistic Programming. I also have qualifications in other therapy treatments such as Reflexology, CranioSacral Therapy and Seated Chair Massage. I like to help people in all of these areas to help them to get the best out of themselves, either physically or mentally. I run marathons and other races in my spare time, and after a year out am building back up to running full marathons again. I am an ambassador for the Milton Keynes Marathon this year and am training a few people to get up to Half-Marathon distance. I am currently studying to do my teaching and tutoring Level 3 so that I can provide seminars and workshops in some of the other areas that I am qualified in, as well as doing further study to supplement my Nutritional Therapy Diploma. 3. What do you love about sport/fitness? I love feeling fit and healthy. I love to help other people get fitter and healthier and achieve goals that they never thought that they would or could achieve. 4. What do you love about teaching exercise classes? I love watching the progress that people make, and the confidence that they build as they get fitter, or as they find a class that they truly enjoy doing. Everyone deserves to have the chance to be fitter, healthier and achieve the goals and targets that they set themselves. 5. What would you say to someone who’s thinking about coming along to your class? I’d say “Welcome” and feel free to ask me any questions that they would like to beforehand, so that they can see if the class is something that they would like to get involved in. Anyone who is totally new to fitness should get a check-up from their GP first to make sure that they are OK to start, and anyone who has any pre-existing health conditions should let me know in advance or at the start of the session so that I can ensure that exercises are modified to suit the individual as required. I like to have a friendly atmosphere in class, and I want you to enjoy your time at the class and have fun. Do as much as you can, at your own pace. We ALL started somewhere. Where will it lead you? 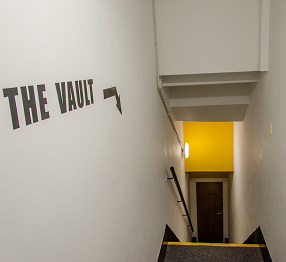 Classes are held in the ‘Vault’ Fitness Studio in the Birmingham LGBT Centre from 6-7pm. You can come along to a class whenever you like. It’s a good idea to arrive a little before the start time especially the first time as there are a couple of forms to complete. Follow us on Twitter for updates about classes and occasional unavoidable cancellations. When you arrive, come through the main doors and press the buzzer beside the door on your right – let them know you’re here for the class and in you come. Wear something you can get sweaty and move around in. There are changing facilities and toilets, but not showers, at the centre. It’s a good idea to bring a bottle of water. There’s a water fountain just outside the studio.